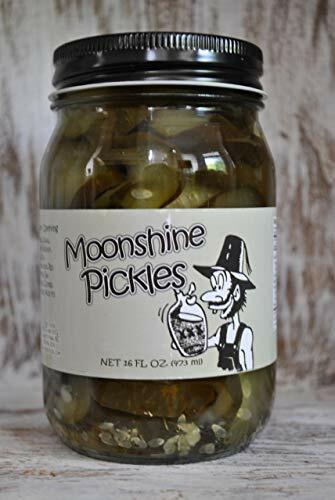 Moonshine Pickles by D`Vine Foods by D`Vine Foods at Smokey Robinson Foods. Hurry! Limited time offer. Offer valid only while supplies last. Moonshine Pickles by D'Vine Foods brings a southern Mama's cookin' right into your home, already made with fresh ingredients sealed in a mason jar! Enjoy these pickles as a side to any meal or as a light snack. Eat it plain or mixed with other vegetables, these pickles have just the right amount of butter to provide your dish with all the flavor it needs! Makes a great gift !! If you have any questions about this product by D`Vine Foods, contact us by completing and submitting the form below. If you are looking for a specif part number, please include it with your message.